The PML-N leader, however, admitted that he received money through TT during when he was not a public office holder. It happened between 2005 and 2008, he said. LAHORE- (UrduPoint / Pakistan Point News- 16th April 2019) PML-N leader Hamza Shehbaz has reiterated that his family is never involved in corruption and money laundering. 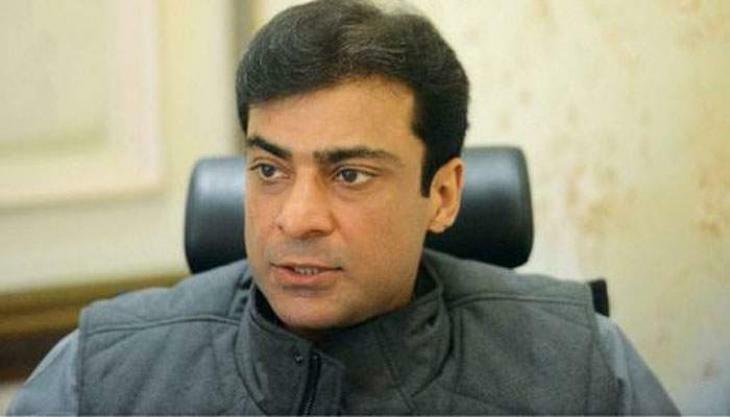 Talking to journalists here on Tuesday, the opposition leader in Punjab Assembly said that Prime Minister Imran Khan will have to apologies the nation if NAB failed to prove money laundering and other allegations against him and Sharif family. He, however, admitted that he received money through TT during when he was not a public office holder. It happened between 2005 and 2008, he said. He claimed that he and his family was the worst victim of Parvez Musharraf but the former president was failed to prove a penny of corruption against them. Now, he said, the same episode was being repeated by another dictator Imran Niazi.